Step 2: Provide personal details and the name of the person you’re sending money to. Enter the recipient’s IBAN and his bank’s BIC/SWIFT code. Later you can also provide a payment reference if necessary. Step 3: The last step is to upload money to TransferWise. You can choose to pay with a local bank transfer that is free or with the card. 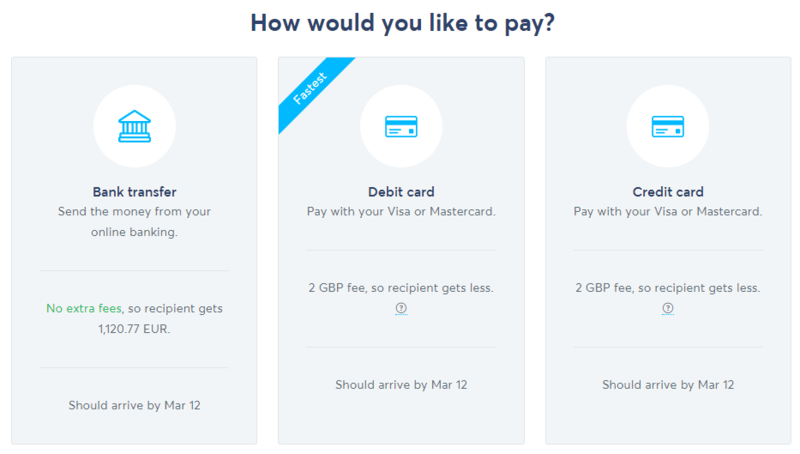 TransferWise will provide bank account details and payment reference if you choose to pay with the bank transfer. I highly recommend copy-pasting the reference as it will be used by TransferWise to identify your payment. Now you have all details to log in to your internet bank and make a regular bank transfer. 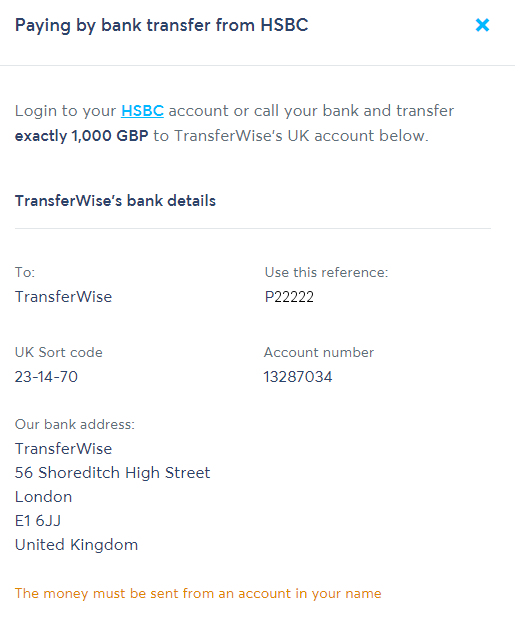 TransferWise should receive your money within few hours. You can also pay with the card if it’s more convenient for you. It’s the fastest way to upload money. You will be presented a typical card payment form that is self-explanatory. Keep in mind that there will be an extra fee applied when paying by debit or credit card. I would recommend using a debit card if you have both types of cards as the fee will be lower. All done, your payment should be arranged now. 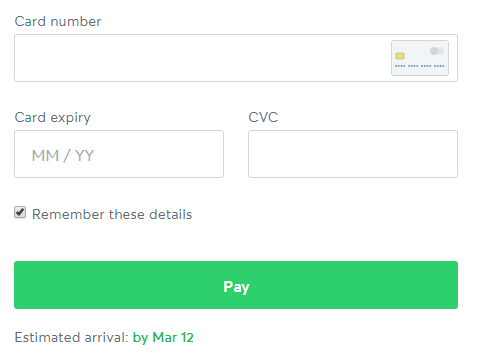 TransferWise will provide you with the estimated date and time by when money should arrive. Normally it’s a day or two depending on where you send the money and how much. You can save recipient’s details for future use if you make regular payments to a particular person or business. That saves a lot of time. Business Identifier Code (BIC) is used to identify banks and financial institutions around the world. Sometimes it’s called SWIFT. These codes are also required for European SEPA transfers. Normally you can find this code in your internet bank. But remember you need to provide the recipient’s bank code, not your. The mid-market exchange rate is the midpoint between sell and buy prices in the global currency exchange market. It is also known as the inter-bank exchange rate. Simply saying this is the real currency exchange rate that banks and financial institutions use to make transfers between each other. However, when it comes to private persons they offer another exchange rate that contains an added margin. This margin is also known as a hidden fee. This is something that TransferWise doesn’t do offering real exchange rate for all transactions. What if exchange rate changes? Exchange rates are changing dynamically and can go up and down anytime. 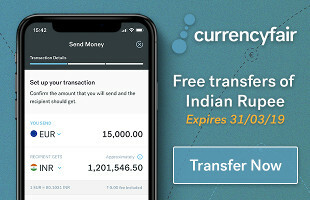 TransferWise is probably the only P2P provider that freezes the exchange rate for your transfer for 24-48 hours for some currencies. If offered, you should see “Guaranteed rate” next to the exchange rate filed. It means that in the majority of cases you will get your money converted using the same rate that you saw when ordered the transfer. There is a built-in mechanism in place to protect your money from the unfavourable fluctuation of the exchange rate. Your order will be cancelled and you will get the full refund if the rate will go down by at least 3%. Optionally you can tell TransferWise to set different limit. Initiating the transfer in the morning will increase chances of completing it the same day. Card payments are instant comparing to bank transfers. 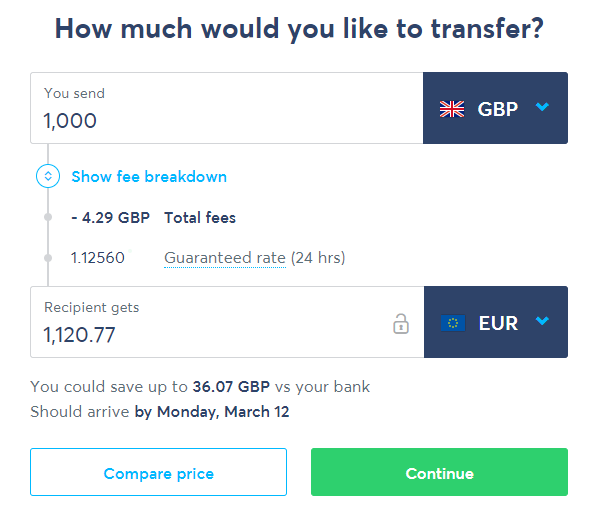 However, TransferWise asks which bank you are using to make a transfer and will try to match the best option. In most of the cases, it won’t take more than 2 hours. Currency pair and destination also matters. Least popular routes may require more time to convert and send your money. And the last variable is the amount you send. Relatively small amounts are transferred within 2 days, but the delivery could be slower when comes to several (more than 5-10k) thousands. There is also a chance that TransferWise may need to confirm this transfer for security reasons. How to send money to an email? When you are setting up a transfer you will be offered an option to send money to an email. It’s an interesting feature that allows sending money without knowing the recipient’s bank account. Also, it’s an option for the recipient to not disclosure his or her account details. 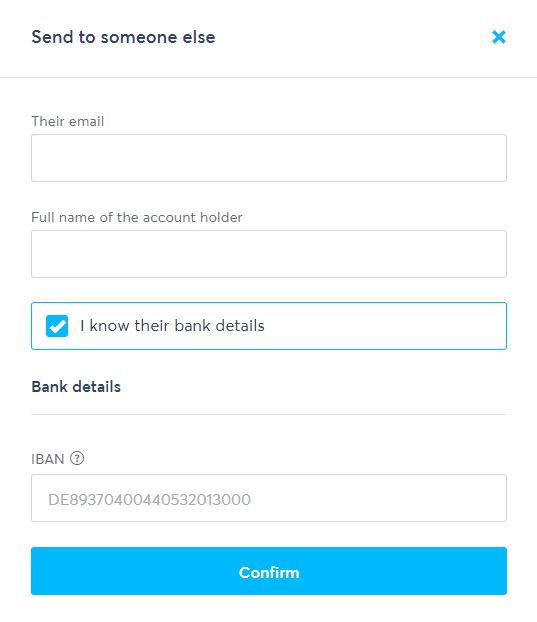 If you send money to an existing TransferWise customer they may have specified the account they wish to be paid by default. There is a special promotion for readers of my blog who like to try TransferWise. Just register with the link you see below and you will get your first transfer completely free of charge. I think this is a nice risk-free opportunity to give a try and see if TransferWise works well for you. Additionally, I’d like to share a nice video made by TransferWise to show how to use their website for making your first transfer.